The Minolta Hi-Matic C is a small viewfinder camera for 35mm film. 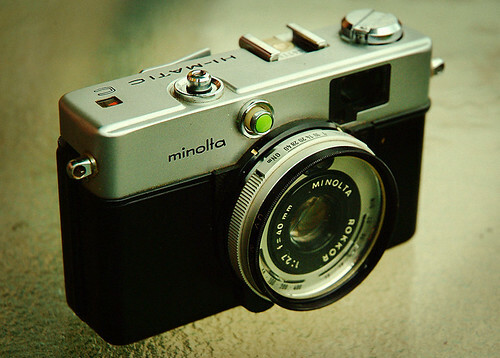 It was introduced by Minolta in 1970. It has a collapsible three-element lens, CdS-meter-controlled aperture, distance symbols in the viewfinder, and for flash usage a guide number scale on the lens barrel.